We are seeking expressions of interest for a series of stories set in the utopian future presented in H G Wells’ The Shape of Things to Come. While the original novel is a grand vision of the Earth’s future under a World State, we are looking for original stories set within the world that Wells built, challenging utopian ideals to pain a more politically and ideally challenging view of the future. 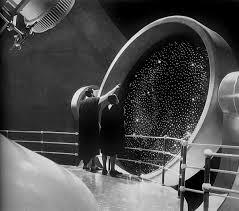 We are looking for retrofuturist novellas set in between 1933 and 2106. It is intended that while these stories adhere to the futurist imagery used in his book, they will also explore political ideas and their consequences whilst applying a degree of technological hindsight to the inventions he introduced. Each of these stories will be a stand-alone story entirely imagined by individual authors – while the use of different times and places will be used to bring a personal interpretation of Wells’ world rather than a coherent shared world. These stories should be seen as no different from submissions to a thematic anthology. Ideally we are looking for established writers prepared to use The Shape of Things to Come as a springboard to tell original, stand-alone stories of between 20-40,000 words in length. Your email subject header should read ‘SURNAME/RAVEN/BIO’. We will endeavour to respond to enquiries within TWO MONTHS of receiving an expression of interest. Our intention is to commission work on an ongoing basis, with royalties of 50% per novella.